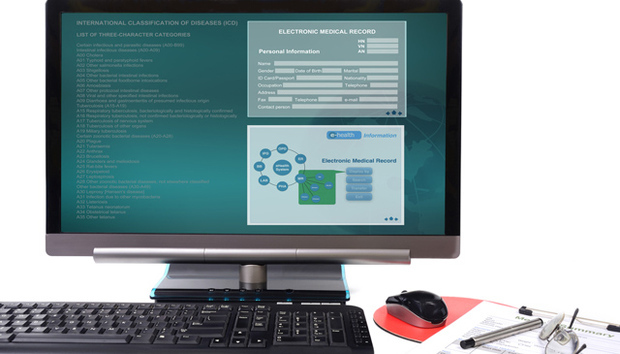 EHR UK: Should the NHS think about input methods? This is a contributed piece from Dr Dean Harmse, consultant pathologist at Plymouth Hospitals NHS Trust. It is encouraging to see that the advance to the Electronic Health Record (EHR) has started in earnest across the NHS (National Health Service), eventually replacing traditional, paper-based medical notes. I believe the EHR will have a profound impact on the quality and safety of patient care and is arguably one of the most ambitious developments that the NHS has ever seen. It will ensure that information about patient care and treatment is documented correctly and continuously on a single platform, and will be available in real-time to all healthcare professionals interacting with the patient. A major advantage it offers is the ability to manage patient consultations without the prerequisite of paper notes, enabling the NHS to realise its long-term goal to go paperless by 2018. However, for the patient information held in the EHR to be up-to-date and relevant, all staff groups will be required to input information in real-time into the system, and that’s where I have some concerns over the modality of choice for information input. Manual entry of information via a keyboard is of course an obvious option. However, the traditional method of dictating notes with subsequent secretarial typing will prove to be too slow and laborious to meet the requirement of real-time input. Furthermore, outside of trained secretaries, few healthcare professionals have adequate typing skills. If the keyboard option is chosen, there may well be a tendency to truncate or limit the amount of information provided due to the immense time pressure there is on all staff groups in the NHS; such brevity, could, in turn, compromise the quality and the detail captured in the reports – which, of course, runs contrary to the EHR’s raison d’etre. As an alternative to the keyboard, modern speech recognition technology enables the quick production of accurate, high-quality and detailed patient notes and records, capturing the narrative and meaning with a more natural flow. It also allows healthcare professionals to generate patient records, reports and referral letters whilst the patient is still present in the consulting room if required. This will promote a culture of openness in healthcare, as patients can be completely aware of the information contained within their records. It will ultimately increase patient satisfaction and reduce complaints (as most of them result from poor communication between healthcare professionals and the patients they treat) while freeing up valuable resources and reducing admin. This will help the NHS deliver against its objective of delivering ‘compassionate care’ by enabling it to focus more on its patients. If there are any legacy doubts in the NHS about what speech can achieve in healthcare, it should look at the successes enjoyed by healthcare providers in the States that are using speech as an interface to EHRs. For instance, Sharp Rees-Stealy Medical Group, saved $1 million by enabling physicians to dictate directly into their EHR, eliminating transcription costs and improving the productivity and satisfaction of their physicians. So common now are the cost savings realised by this combined solution, that a ‘Millionaire Dollar Club’ has been established, comprising US healthcare organisations that have already saved over one million dollars without compromising patient care. There’s no doubt that the move to EHRs will be transformative. But the extent of that transformation - and the benefits it ultimately delivers to patients and the NHS alike – hangs on the decisions that will be made over what is the most effective way to input data and interface with the EHR.